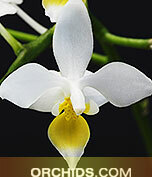 A rare color form of this Phalaenopsis species and just awarded a well-deserved AM/AOS from the American Orchid Society! 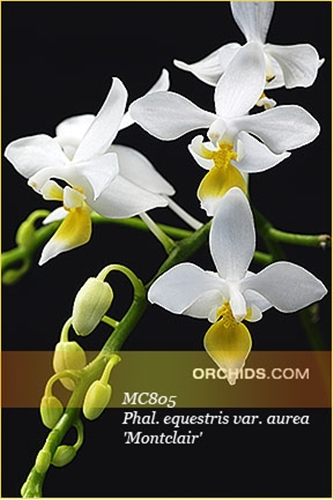 Its bold solid golden-yellow lip sets this variety of Phal. equestris apart from all other white forms of the same species. 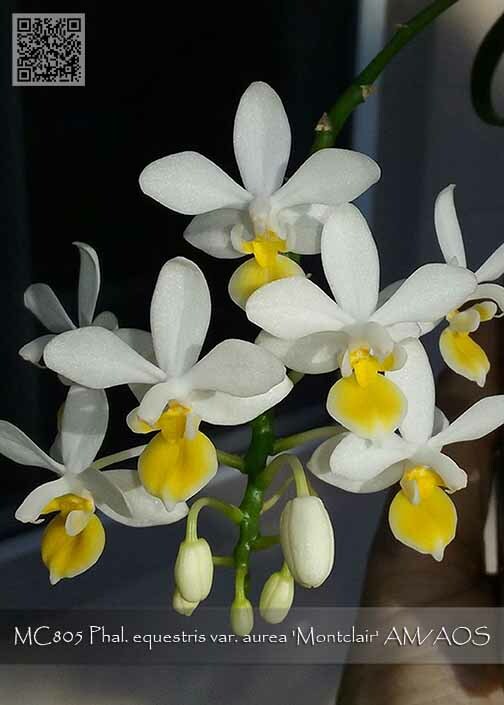 As the backbone of many of today's multi-floral miniature Phalaenopsis, this is a robust grower producing compact branching sprays of small white flowers accented by a glowing yellow lip. This is a Limited Stem Propagation and Very Highly Recommended! Montclair' AM/AOS , Note: Only 6 Available!